Task 28B is an optional Task. It is not compulsory for the Accredited Instructor to sign. 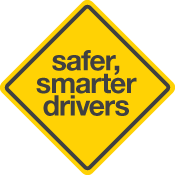 This task has been placed in the Driving Companion primarily for the use by the Qualified Supervising Driver for guidance when recording the compulsory 15 hours of night driving. Explain adjustments required in speed and positioning in regard to visual deficiencies. Explain the requirements in relation to clean windscreens and headlights. Explain the requirements in relation to dipping headlights. (eg when following within 200m from the rear of other traffic and when approaching vehicle reaches a point 200m from your vehicle or immediately the headlights of an approaching vehicle are dipped (whichever is sooner). Explain the confusion that may occur when driving in built up areas due to the mixture of neon signs, traffic lights, store lights, street lighting, etc. Explain the need to be 'seen' (eg do not forget to turn on headlights). Explain the lack of visual eye contact with other road users. Demonstrate correct application of 'System'. Trainee to demonstrate under full instruction. Trainee to practice until competent.